Pipe fittings of various colors, shapes, and sizes are good for about ten million things. 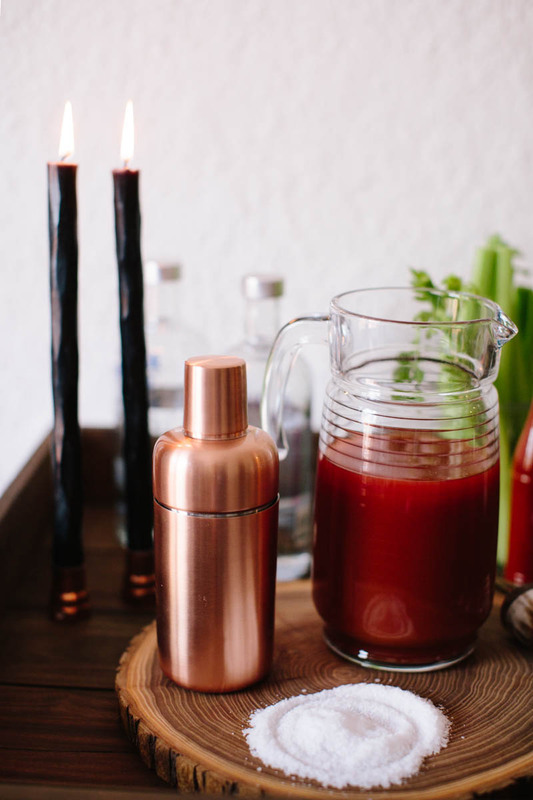 They make perfect candleholders. 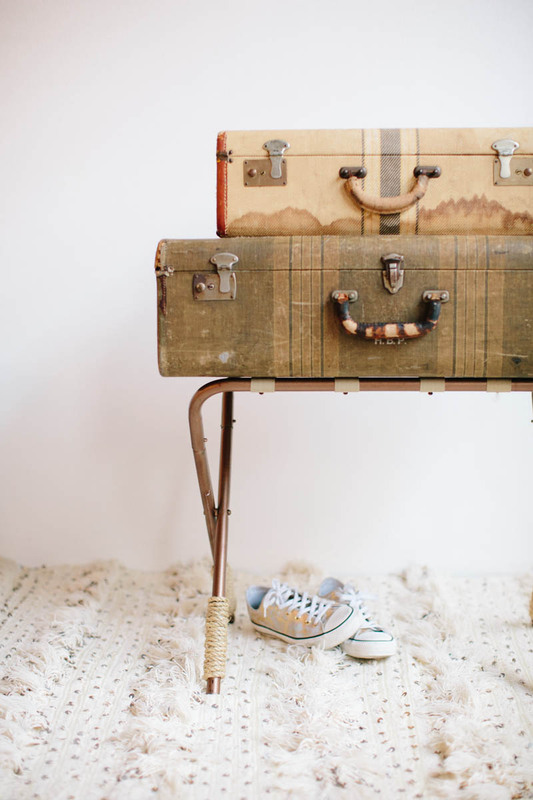 or, with proper planning, you can build the arms of our famous DIY Pallet Daybed with them. 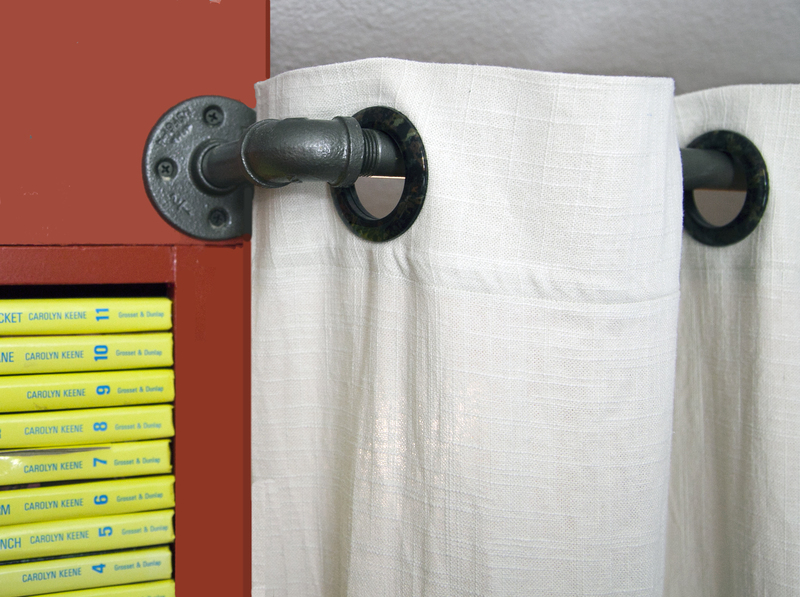 Or you can make a pipe fitting curtain rod (detailed, illustrated step-by-step instructions on page 71 of Pretty Prudent Home. 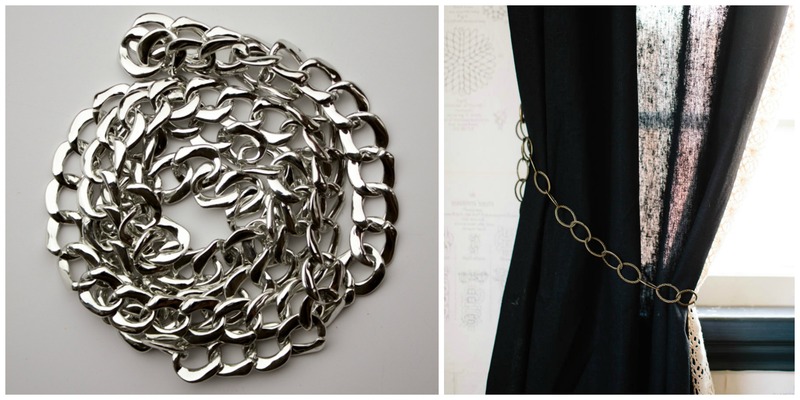 Chain links make for cool industrial accents. 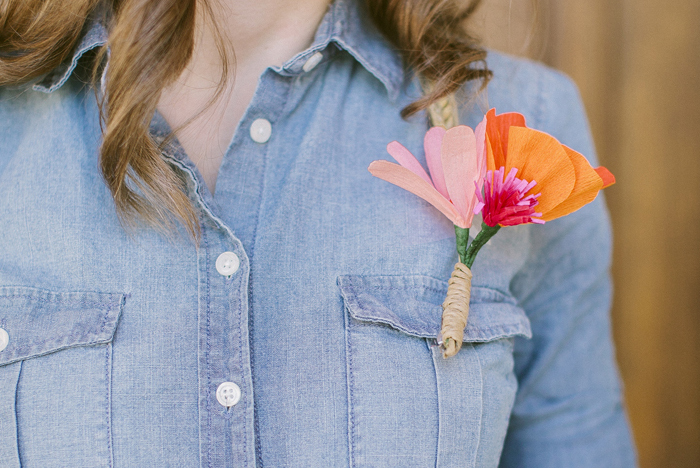 We used them to make these curtain tie-backs (one of our round up of easy tie-bac ideas in Pretty Prudent Home) but they have about a million and one uses. Paracord is sturdy enough to dive out of a plane with, so you can rely on it for some home decor projects. It can also be found in about a million different color, and used like yarn. 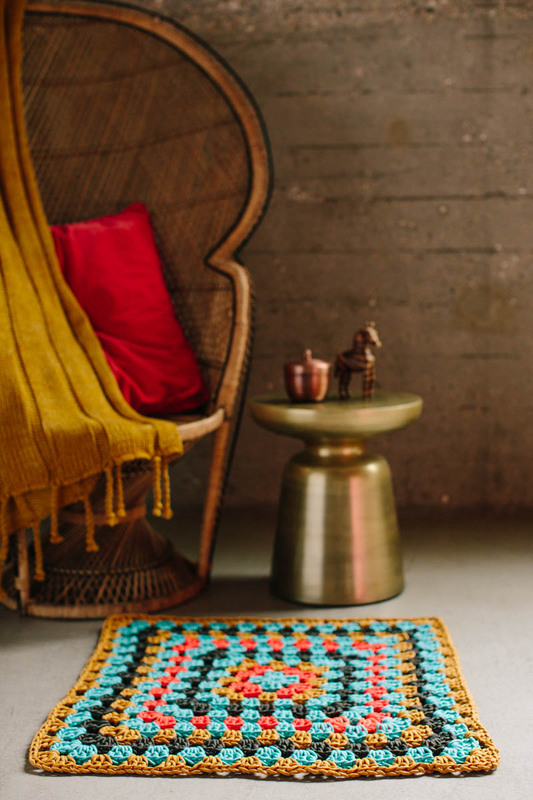 We made this Granny Square Crochet rug out of it. 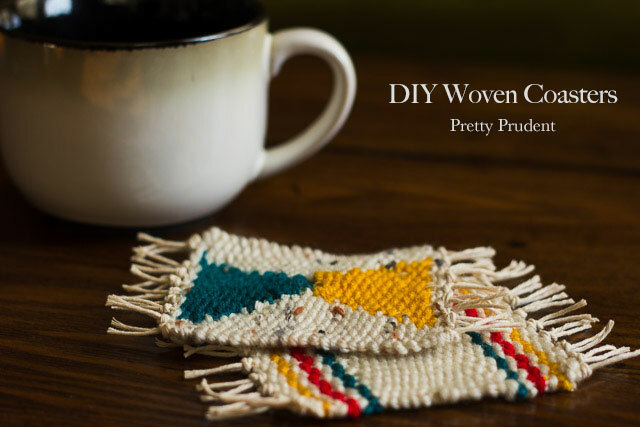 This is basically crocheting a giant granny square, the actual pattern and step-by-step DIY instructions can be found on page 88 of Pretty Prudent Home. 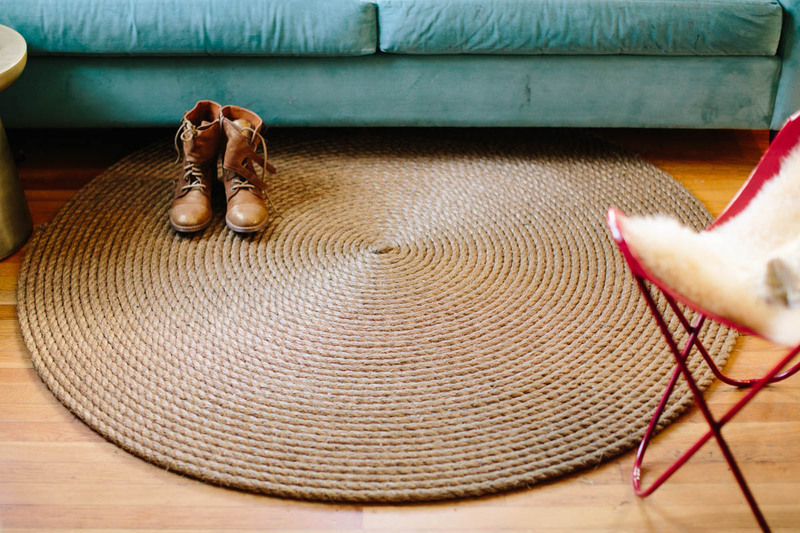 We also think that making a nautical rope rug, as we show you how to do on page 87 of Pretty Prudent Home, is an efficient way to make a traditionally expensive item (a rug) on the cheap. This one is in my house. Those are also my boots. I love those boots. 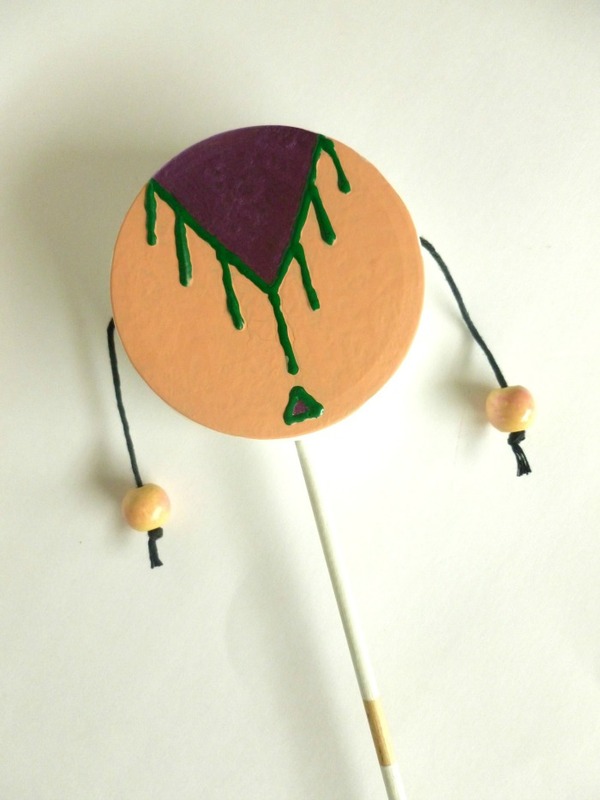 or even to make this super cute toy, a DIY Spin Drum. 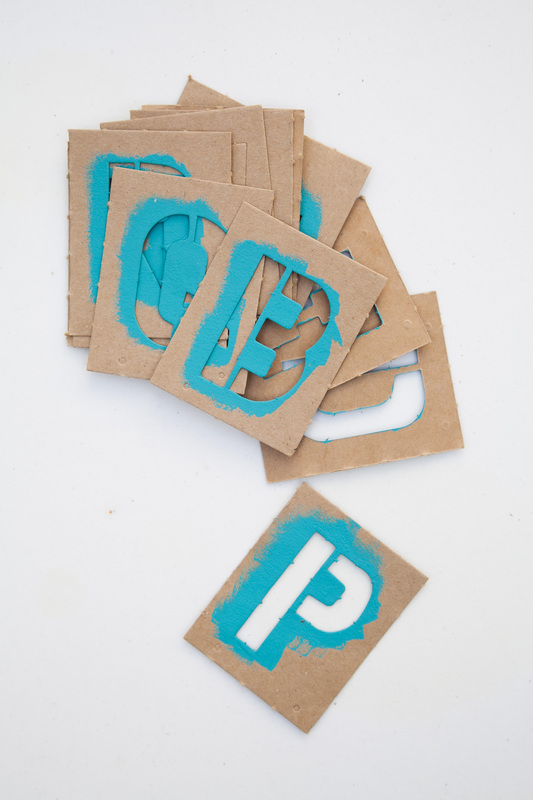 Yes in this day and age, you can cut vinyl letters from your silhouette or order them online, but there’s something very specifically retro about actually stenciling with old-fashioned hardware store letter stencils. I made this headboard using a canvas tarp and hardware store stencils. 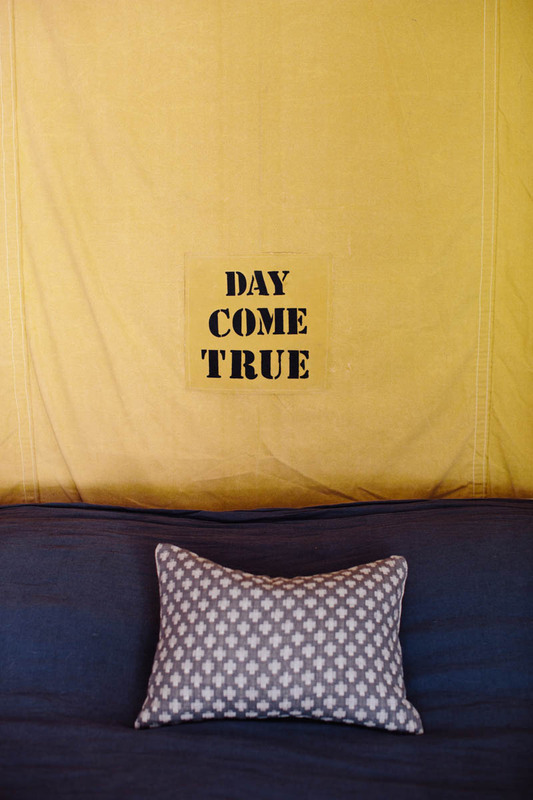 My daughter always sings a song she wrote in which the only lyrics are “Day come true, day come true, every single day come true!” so my husband and I put it on our bed as a headboard. I don’t need to explain this to you. 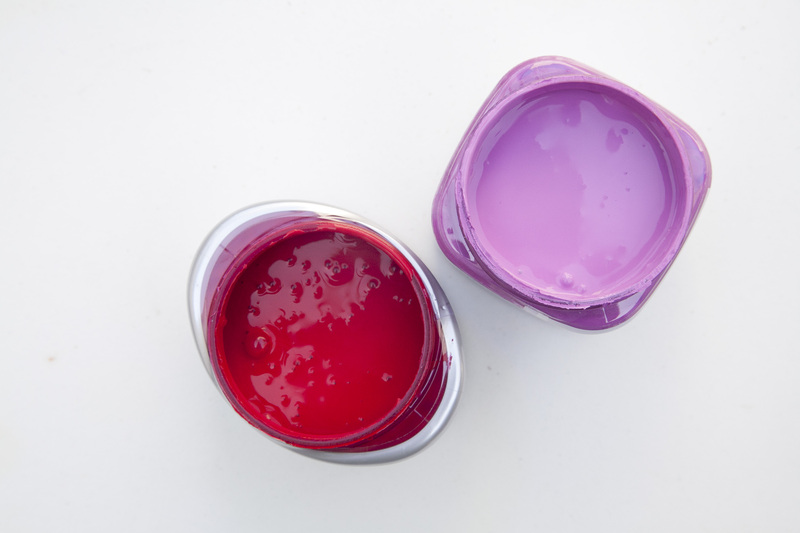 Purchasing cool paint colors in small sizes is convenient when you like to make crafts. 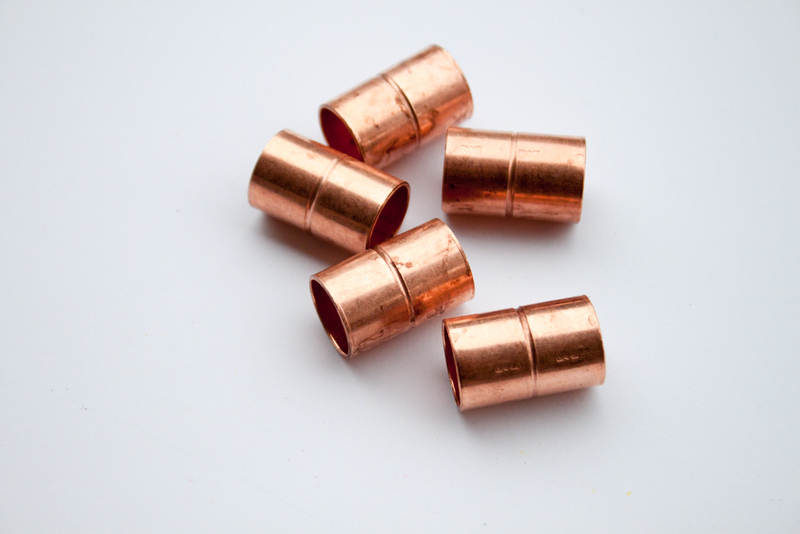 Turn anything flat into a a table by adding some pre-fab hardware store legs. 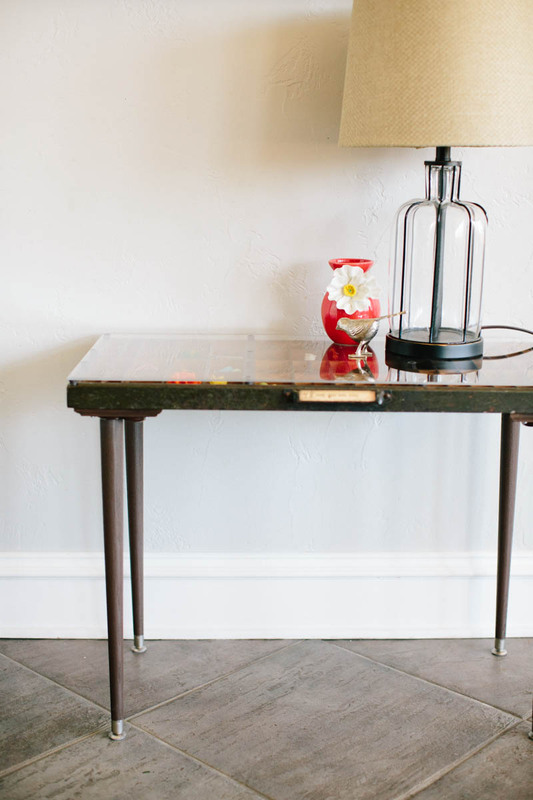 Turn a vintage letterpress tray into a table, like we show you how to do on page 49 of Pretty Prudent Home. 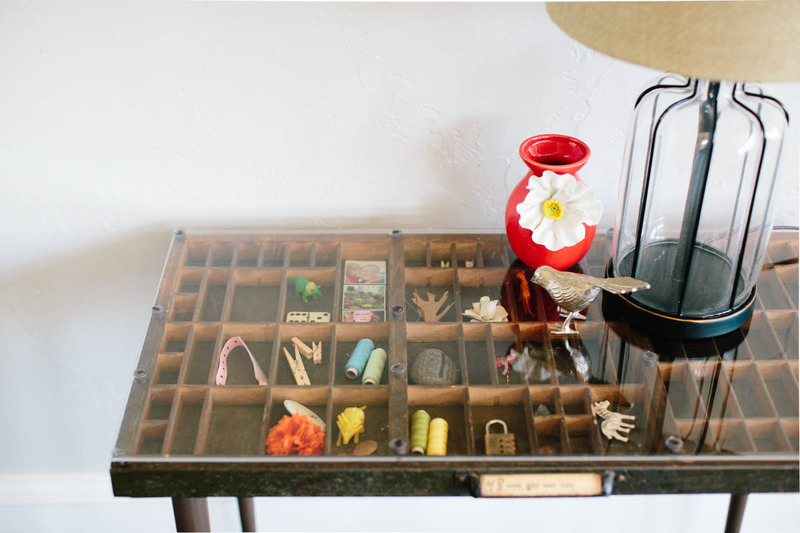 Jacinda found two vintage letterpress trays at (the amazing and mind blowing)Canton Flea, and turned them into nightstands for her guest room, which is where I get to stay when I am in Texas at her house. They are amazing! 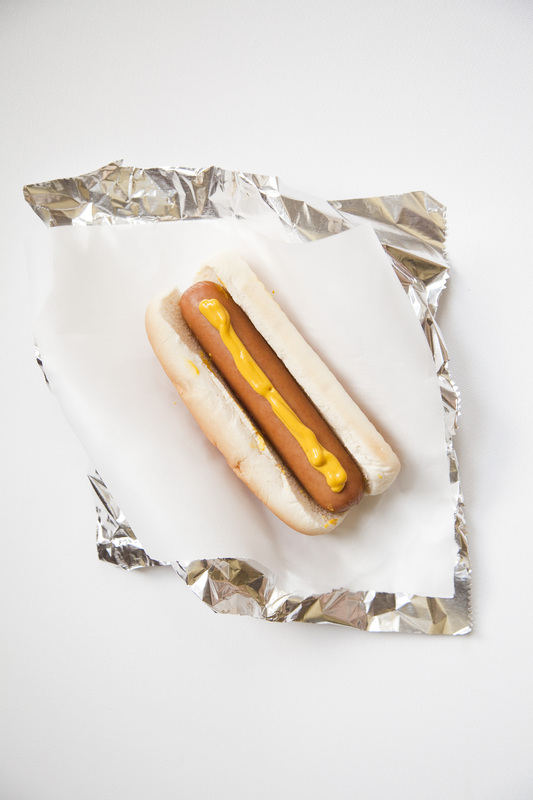 You know you want one, and we are here to tell you that you deserve it. 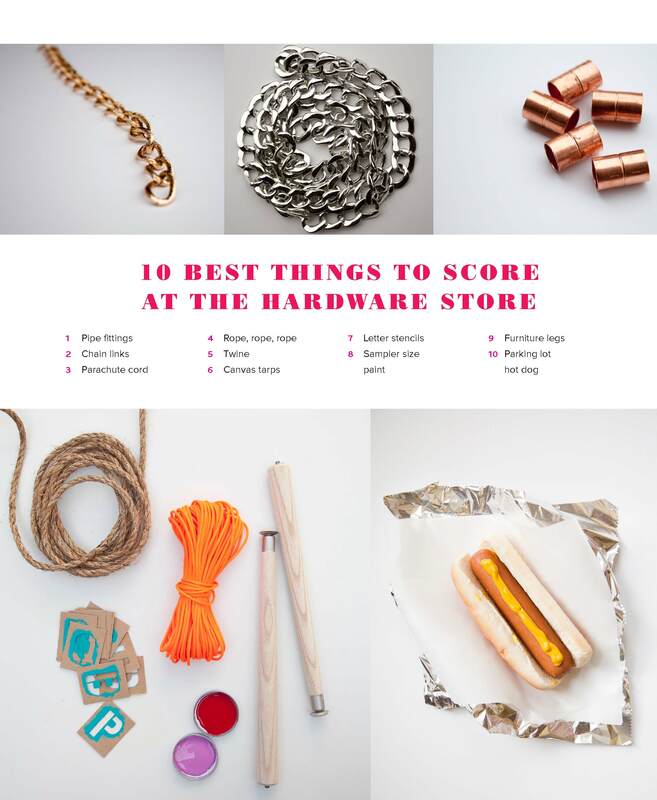 Wow, I had no idea that you could get such awesome stuff from the hardware store! 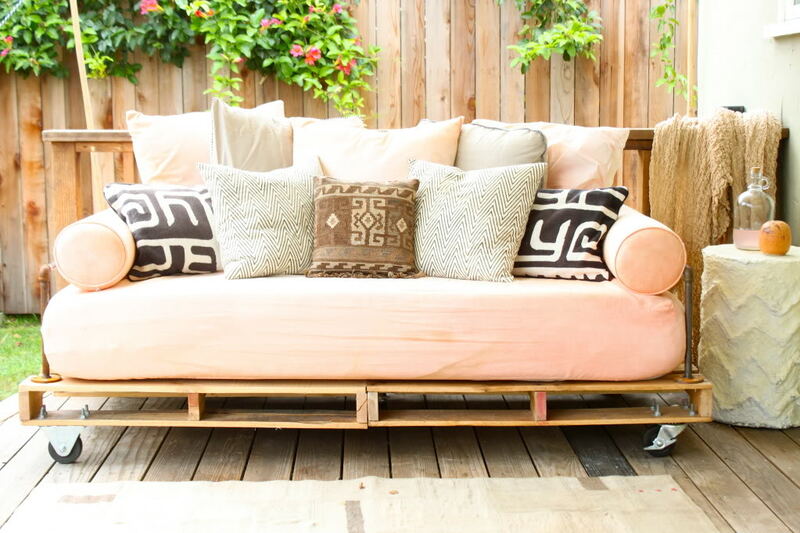 My favorite thing is definitely the DIY pallet daybed for your deck or patio. It looks so cute, and I could definitely find myself taking a nap on it! When I get a chance, I’ll definitely start looking for a hardware store nearby so that I can start planning for this project!